Preparation time: 10 minutes. Heating time: 10 minutes. Combine apple cider, cranberry juice cocktail, and lemon juice in a saucepan. Place lemon and spices in a piece of cheesecloth; securely tie ends of cheesecloth together and add to juice mixture. Bring to a boil and reduce heat; simmer, uncovered, for 10 minutes. Remove spice bag and discard. 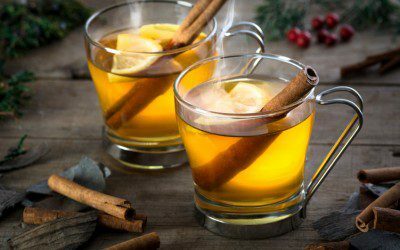 Serve cider warm.